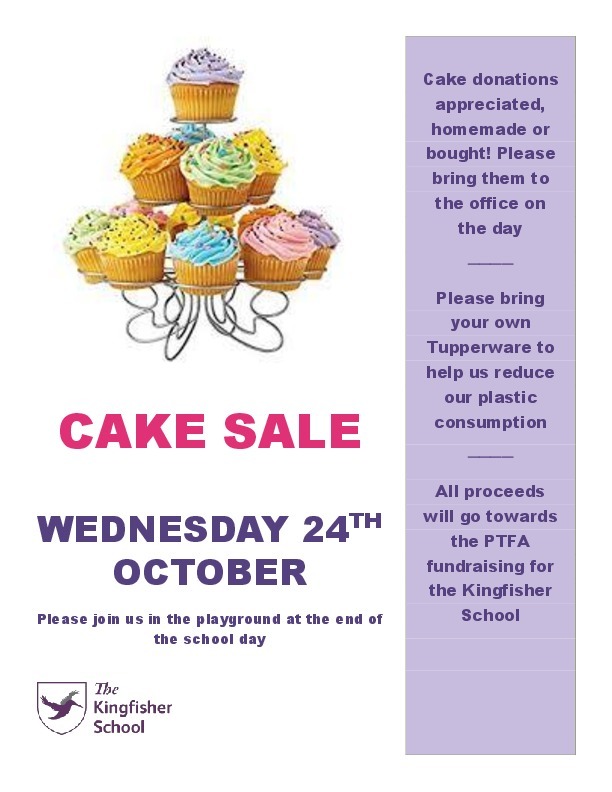 Cake Sale - Wednesday 24th October at the end of the school day! All cake donations welcome! Let's help our PTFA to raise funds to enhance our children's experiences in school!